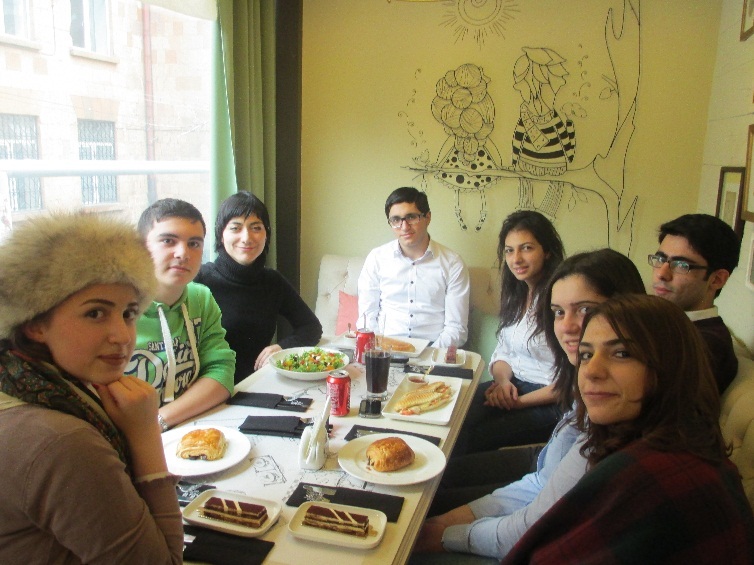 YEREVAN- The Dinner with Six Strangers alumni mentoring program, initiated by the American University of Armenia (AUA)’s Office of Alumni Relations and Career Development Office, continues to reconnect alumni with their alma mater. On January 24, 2014, alumna Gohar Khachatryan (PSIA ’05) hosted a dinner event with a group of graduate and undergraduate students from different academic departments and years of study. The Office of Alumni Relations and Career Development holds up to two Dinner with Six Strangers events each month. If you are interested in participating in the program, please contact the Office of Alumni Relations and Career Development at alumnirelations@aua.am or 010 51 25 40.